One of art work from Java island, called Wooden Egg Pieces. Made of original Teak wood with dried process. This handcrafted decoration is made by craftsman with perfect furnishing. It is very safety for decoration use or children games. You can put this wooden egg for your outdoor decoration or for indoor decoration. Look at the picture and get some idea there. 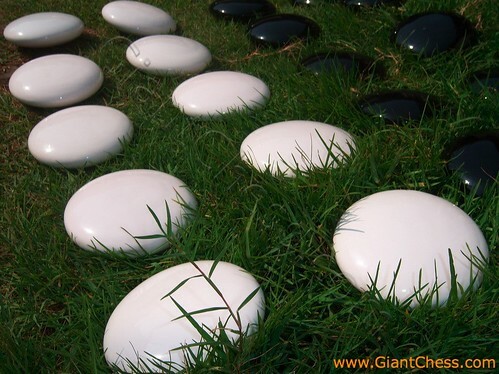 You can dress your garden with those white stone pieces. The size of the wooden stone piece is available in various sizes. It's depend on the order. Use this product as house decoration, embellishments, miniatures, bazaar crafts and more. Not only in white color, but we also have another color, such as; black, brown, and many more. Have it now!